Since its inception in the year 2010, Bhavyata Estate has become a trustworthy Real Estate Agent in Surat, Gujarat. By offering premium services for Buying Property, Renting Property and Rent/Lease Property, we have created a name in the domain. In addition to this, we are also reckoned as a reliable Property Legal Advisor, Property Loan Consultant and Interior Designer in the industry. We are appreciated for taking up sincere approach while dealing with our clients. 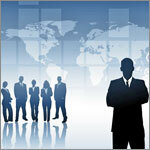 Our well-organized and planned methodologies open up many rigid doors in business. We bring in all the solutions related to property whether it is documenting the deals or communicating with the banks for seeking loans. We have comprehensive database in store for the clients that offers ample options to them to get the desired property at nominal rates. Mayank Kapadia, CEO of the company, has encouraged a work culture where transparency and honesty is practiced in every business deal. Endeavor of our professionals has made work process simpler with their well-managed operations right from the starting till the time the deal is finalized. We aim to maximize profit of our prestigious clients by getting the best deals for them. Furthermore, we charge reasonably for our services.